The Beara Peninsula boasts Irelands only cable car and the trip in is a wonderfull experience, once on the island there are many walks to suit all levels and spectacular scenery. 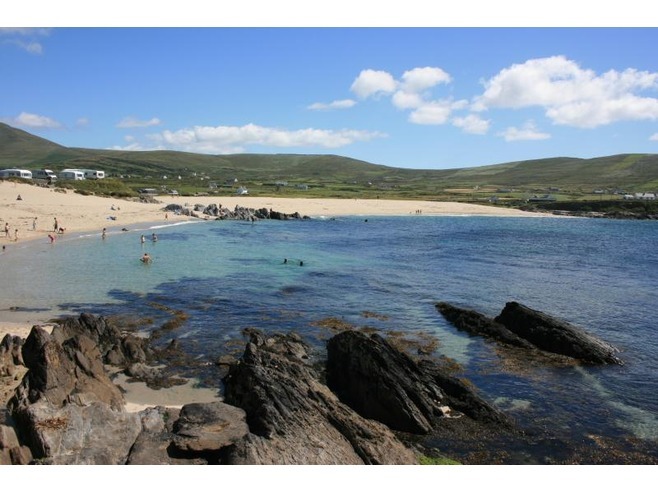 Around here you are never far from a beach but our favourite two would be Ballydonegan Beach right beside Allihies Village and Garnish Beach which is located on the road out to Dursey Sound. While in Allihies it is well worh your while to check out the Copper Mines museum, a tribute to the many years this village spent as a hub of activity when the Copper Mines in the mountains were operating. 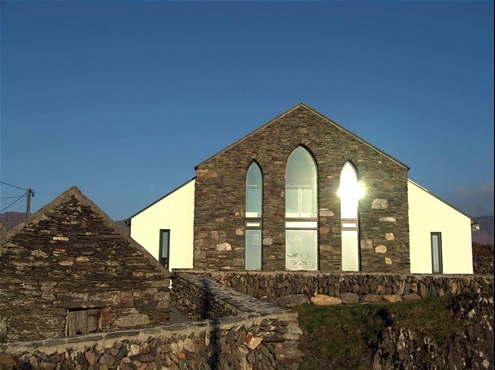 For those looking for rest and retreat, Dzogchen Beara is a Buddist retreat centre hidden away in Grans on the road between Allihies and Castletownbere. It has gained recognition worldwide and has been visited by the Dali Llama himself as well as President of Ireland Mary McAleese. Regardless of your religion a visit is highly reccomended, even just to take a stroll along the calm and peacefull cliff walks that surround it. 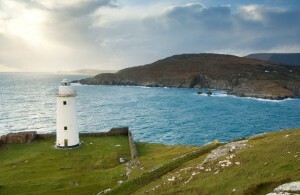 Another good day excursion would be a trip to Bere Island on car ferry, a quick boat journey will transport you to this busy little island full of charms and quirks.Take a walk up to the martello towers and lighthouse. While there a visit to the Heritage Centre will give you an insight into life on the Island and the rich history it is steeped in. Rock fishing and sea angling is very popular with most locals in the area and there is nothing more satisfying than cooking up your catch the very day you caught it. O’Sullivans in Eyeries village and Lemar Marine in Castletownbere will be more than happy to sort you out with fishing tackle and give plenty good tips! If catching fish isnt your thing and you perfer to just watch wildlife, then Sea Safari in Kennmare is for you. On your boat ride down the mouth of the Kenmare River you will be introduced to a host of wildlife and be told plenty good stories to keep you laughing all the way! On the road to Kenmare, Dereen Gardens and Gleninchaquin Park are two areas of immense beauty that are well worth visiting. Dereen Gardens are gently landscaped gardens that have a large array of exotic plants and ancient woodland that is great for small children to explore. 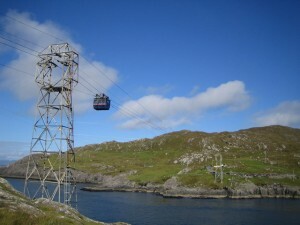 Gleninchaquin boasts a breathtaking waterfall that cascades down the mountain and also has beautifull lakes. Horse Riding is another fantastic way of seeing the peninsula without over exerting yourself! Lios Lara riding stables in Castletownbere does cheap and cheerfull lessons and treks on very sweet and experienced horses and ponies.